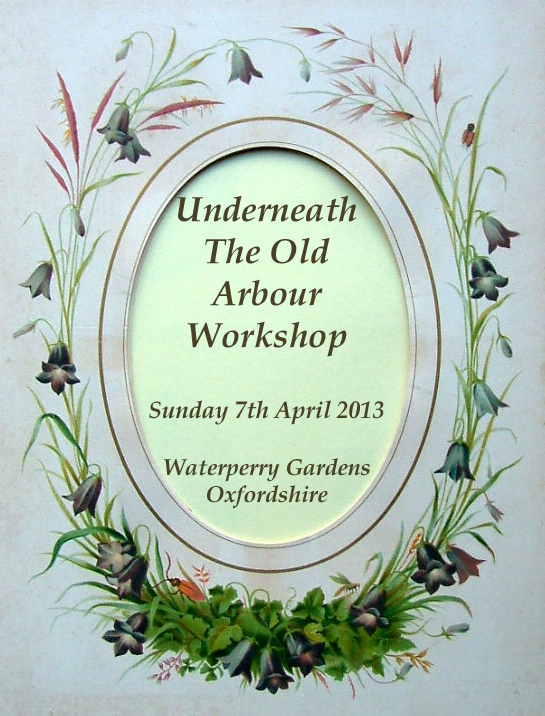 Although our next workshop is not until Sunday April 7th.....work is well and truly in progress on the prototype. The hardest part of each workshop is the actual working out of exactly how to go about constructing the components in the most productive way for each attendee. Much effort and thought is put into this aspect so that everyone attending our workshops can confidently undertake each project. 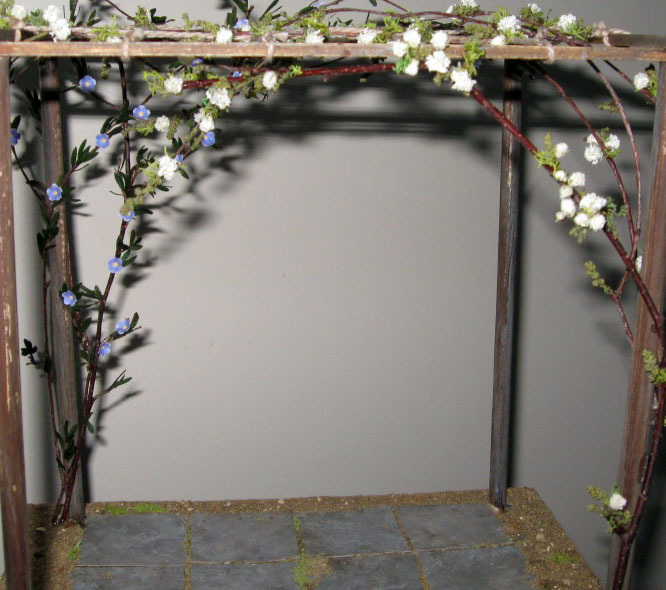 is a completely original, quite feminine and nostalgic project - a vintage arbour with climbers, unique landscaping complete with vintage style and well weathered garden furniture. There will be further accessories etc. but at least you can see from the photos, the gist of the project. 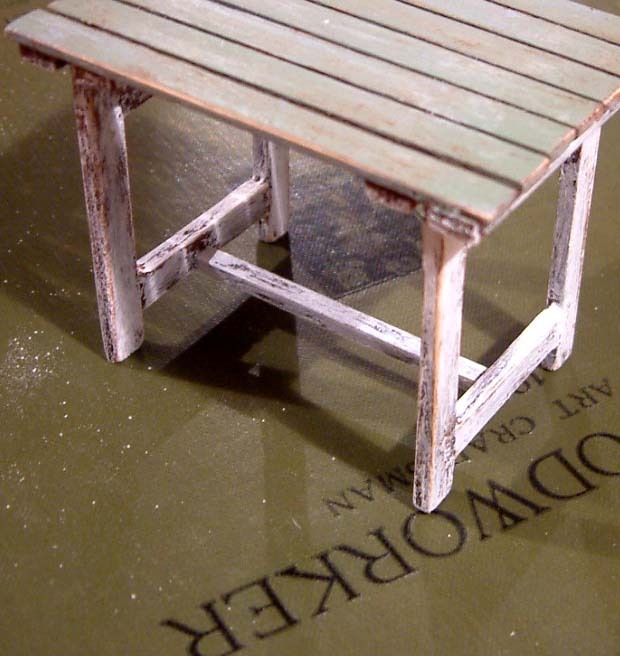 This can stand alone, used with any of the previous workshop garden projects or butted up against a dolls house.....yes, even a vintage dolls house!! We have a handful of places now remaining for this all day event which is taking place in the classroom block at the stunning setting of Waterperry Gardens in Oxfordshire, worth a day out in it's own right. 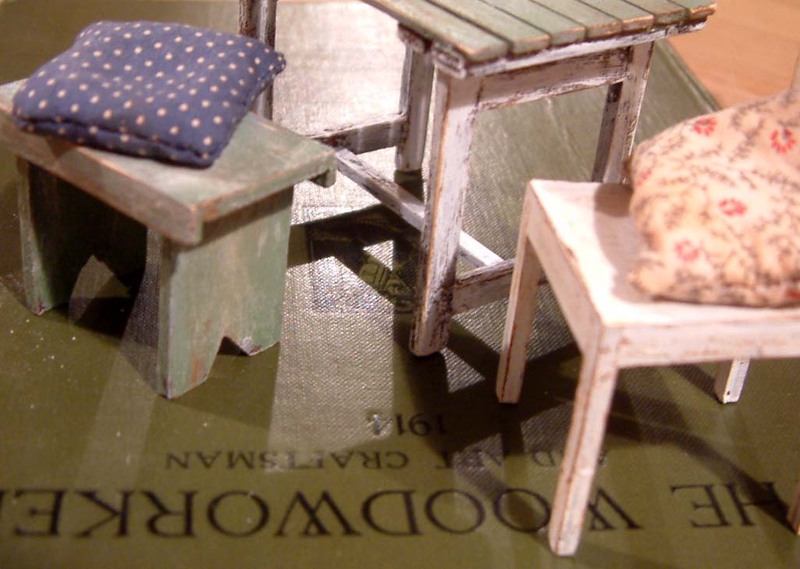 All our projects are suitable for both complete beginners and the more experienced miniaturists alike; you can work at your own pace in a relaxed and informal environment. Please get in touch asap if you need further information. 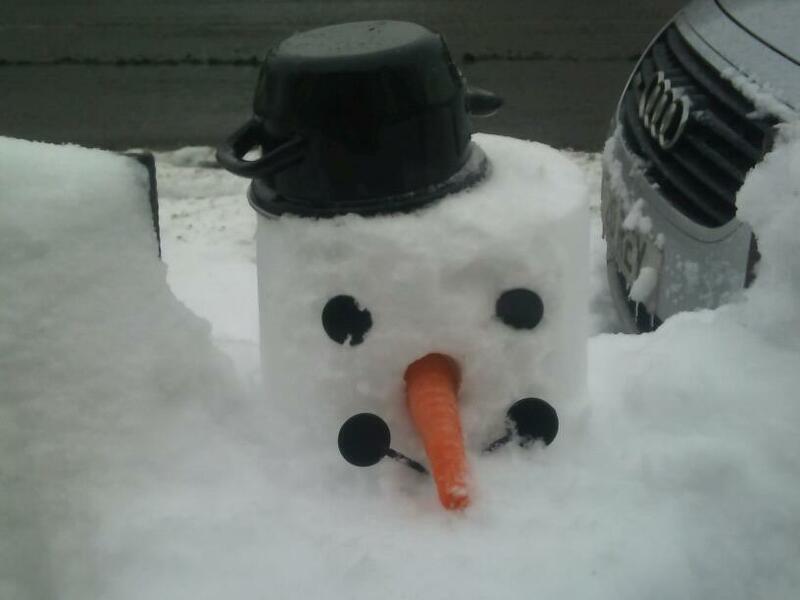 A Mini Snowman Of A Different Kind! Like most of the UK on Friday, we had snow. It is a well known fact that usually with us Brits, a mere sprinkle of snow, everything stops!! However actually, this was a bit more than a dusting. By midday Friday, daughter's school was closed and son's office had closed so we had an unexpected house full. In an attempt to lure Mrs KT Miniatures away from her phone and computer which was exceptionally busy that particular day ( I wonder why-she says with a twinkle), it was suggested that we have a rare family outing on foot, up to the town. So, we dug out our wellies, hats, gloves and winter woollies....and off we trekked. There is something very therapeutic about chucking snowballs at one's offspring-don't you think?! 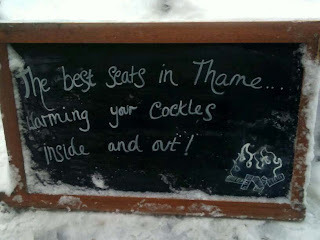 Many of the businesses and shops predictably had closed early but we were enticed into one of our wonderful Thame pubs/restaurants with a lovely aroma. Resulting in us all having hot chocolate topped with marshmallows whilst thawing next to a roaring log fire...absolute bliss! When we came out, one of the staff had knocked up this impromptu mini snowman with the aid of a saucepan, embellished with plastic drink stirrers and carrot for his facial features.....topped with a mug "hat"......haha! Even though more snow is forecast for today, hopefully I will be able to post the now backlog of orders tomorrow-as I was not able to dispatch any parcels on Friday. Labels: Nostalgia In Miniature Workshops, Underneath The Old Arbour Workshop, Vintage Arbour, Waterperry Gardens, Weathered Vintage Garden Furniture. c1920s Rare Beatrice Hindley Flowers - Simply Stunning! It's not every day that I get a phone call, asking if I would be interested in taking on some signed Beatrice Hindley flowers.....but this is just what happened last week and here we are now! 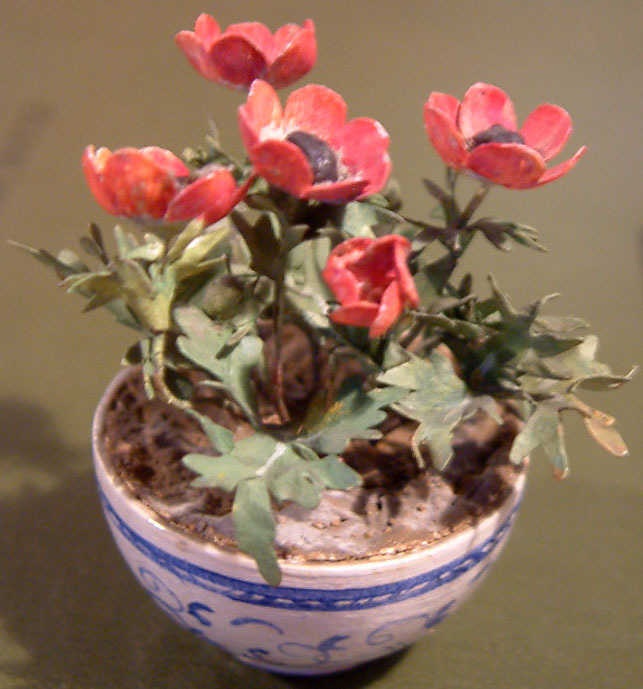 Well....I have to admit that in all my years here at KT Miniatures, I'd never handled Beatrice Hindley flowers before (not many peope have) so was a little concerned that it might be difficult to assess whether they were the real thing or not. But once the emailed photos started arriving, I was left in no doubt that these four little treasures were indeed "the real thing". Their value is well documented on the internet for all to see plus I was told by this lady that a well known auction house had taken a look and given her an estimated value....so we all knew exactly what we were dealing with here. So folks, am delighted to tell you that I now have three of those four up for sale....(well I HAVE to keep one don't I)! 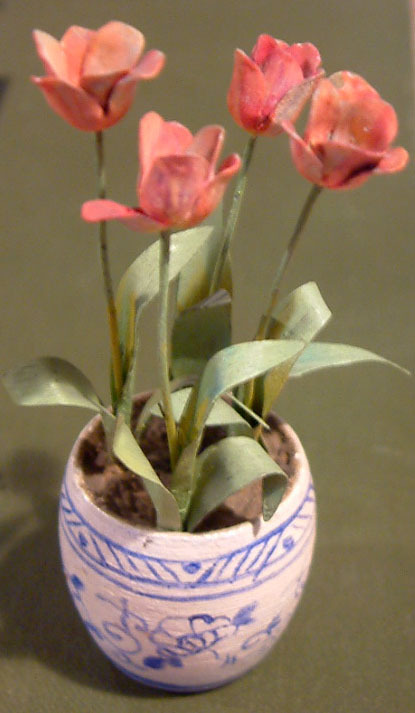 The pot of tulips stands at 3" tall and have four blooms with accompanying leaves. 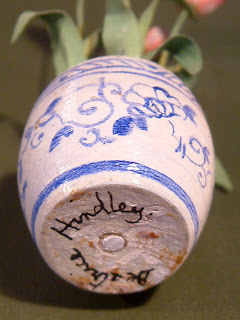 The turned wooden pot has been hand decorated by Beatrice and is absolutely gorgeous. Beatrice was a friend of Gertrude Jekyll, the infamous garden designer and horticulturist, who in the early 1920s, when asked to design the garden for Queen Mary's dolls house, enlisted Beatrice and her sister for help. 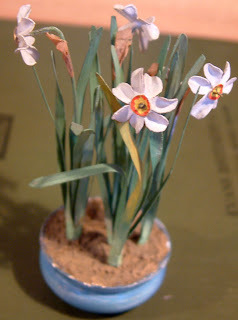 The plants were created out of thin brass shim and other alloys, then painted in oil paints. 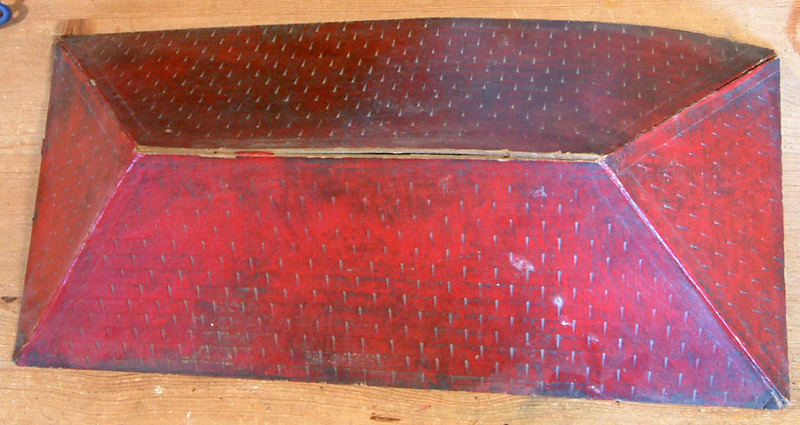 Each of the pots were turned out of wood, some were painted up decoratively with patterns and others were left plain. Beatrice apparently spent many hours studying the flowers at Kew Gardens in order to make her plants as accurately as possible. The detail is exquisite. In fact the photos don't do them justice....in the flesh they look even more amazing and you just know that they are something rather special. 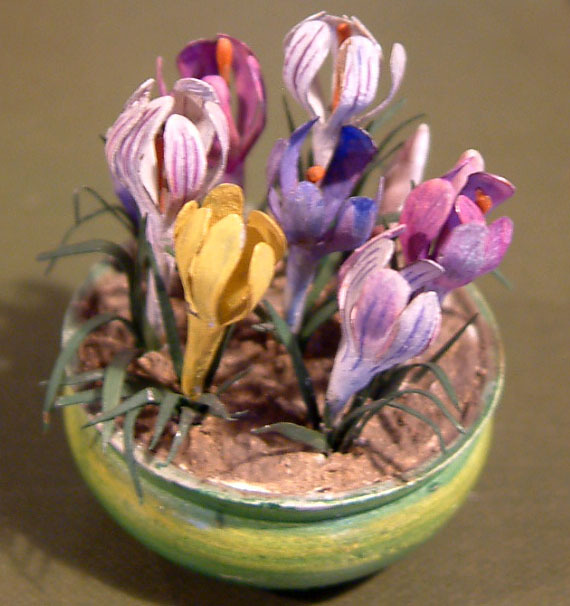 The crocuses sit in a plain green bowl, there are seven flower heads plus a further three buds....breathtaking! Apparently it is thought that the plain bowls were designed to sit in some of those rather lovely decorated planters that were prevalent in the 1920s....whereas the highly decorated painted pots were designed to stand alone. Then there is this exquisite bowl of anemones...again in one of Beatrice's decorative pots. 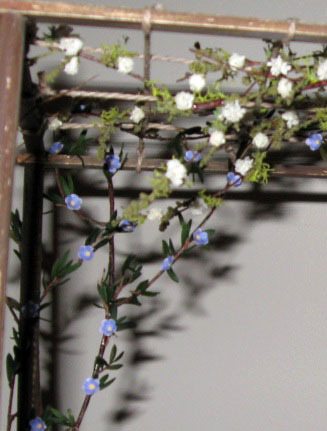 There are five flower heads on this plant and the accompanying leafage. As sometimes found in vintage dolls house turned wooden pots, in a couple of these pots are some teeny cracks but nothing too detrimental. However, as these are 90 years old, I think we can forgive them for having the odd wrinkle or too! Beatrice made a whole variety of high quality flowers. 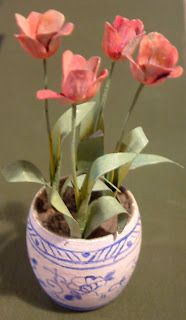 Mine are all examples from her spring flower range. 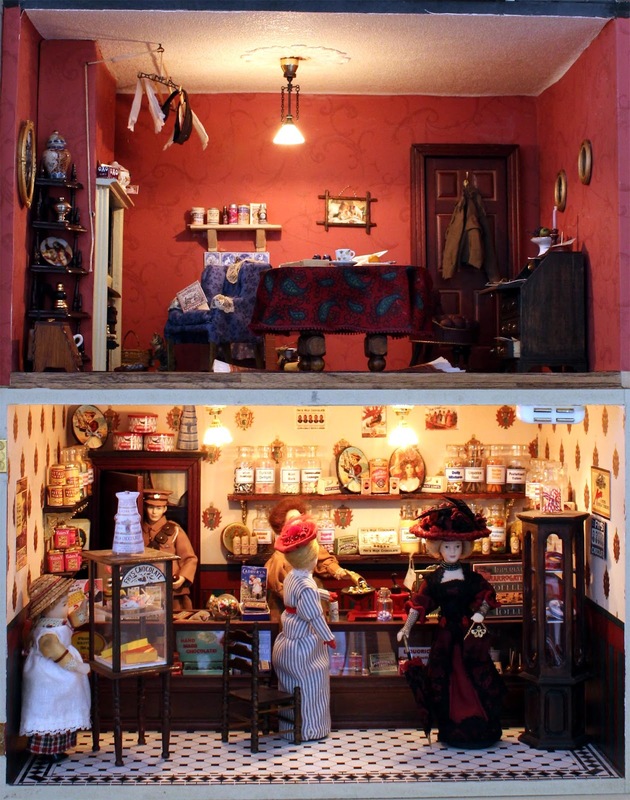 You can find out more information about Beatrice and see photos of a whole array of her flowers in a special section at the back of Liza Antrim's wonderful book.....Family Dolls' Houses Of The 18th & 19th Centuries. (See KT Miniatures Recommended Reading Page for details on publisher etc.). On her death Beatrice bequeathed 80 to the Queen, which are displayed at Sandringham. Which one am I keeping? Well, it had to be the Pheasant's Eye Narcissus....seen below. I would have loved to have kept them all, but as you know...am supposed to be running a business here!!! 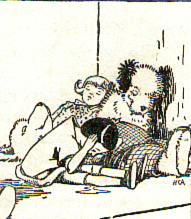 As a footnote to this little story, I must tell you how the lady from up north came across these four little treasures. Well....apparently she bought some boxes of china at an auction and these four plants were randomly discovered in a teacup, right at the bottom of one of the boxes!!! She knew nothing about miniatures or dolls houses....so began Googling the name - Beatrice Hindley, as each pot had her signature underneath. Then by the power of the internet, she was led to KT Miniatures. Ooooooh...I really do LOVE my job sometimes!!! Vintage Restoration Bits & Pieces Plus A Little Bit More Besides! 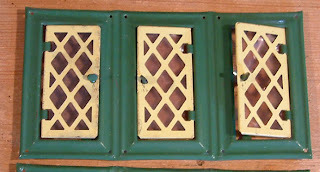 Finally I have been able to start listing again.....and first up are a variety of restoration bits and pieces for vintage dolls houses. 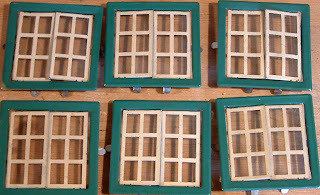 I am pleased to say that at last I have some of those elusive metal windows for sale....both Tri-ang (the smaller ones) and Romside. 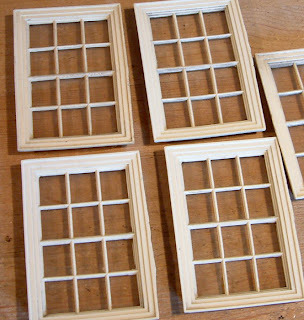 So if you have an old dolls house missing these windows, now you have an opportunity to purchase some. They are increasingly becoming harder to find these days and I will have to sell them on a first come, first serve basis as there are simply far too many of you waiting all for the same thing. 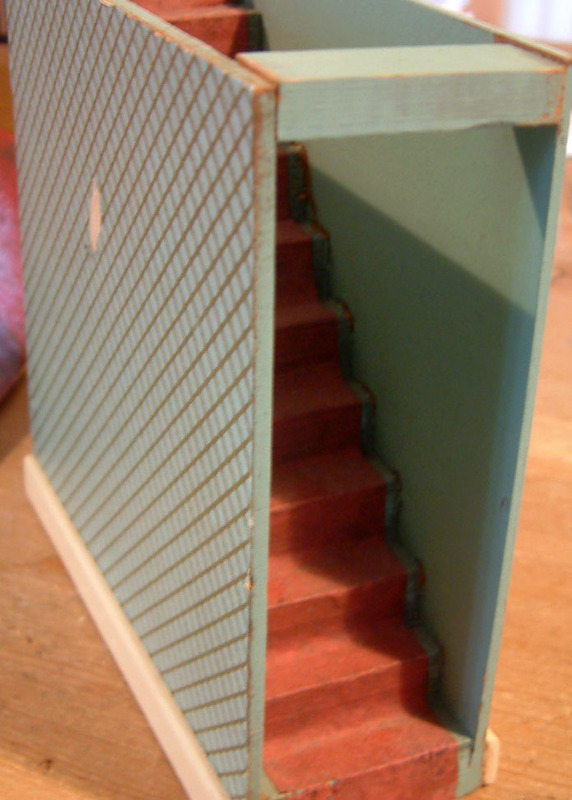 Also, under the Tri-ang category I have components from a very sorry Tri-ang Queen Anne Dolls House, from the 1950s. It is not often that I dissect a dolls house but this was structurally in such a poor state, that I decided that it was better to salvage what I could from it and hopefully someone else will have use for these bits. 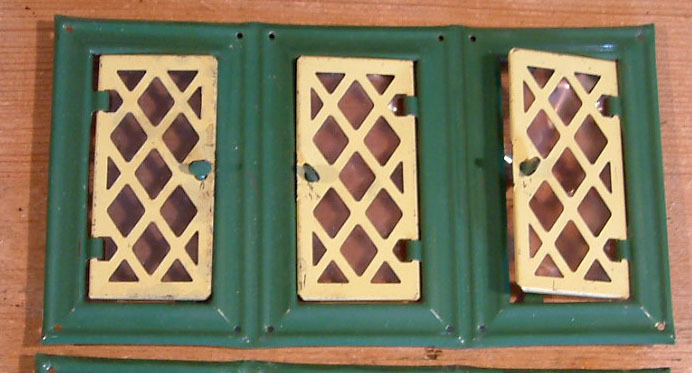 The plastic windows are just as rare as the metal Tri-ang window would you believe....in fact I would go as far to say that they are even more rare....simply because the plastic used in construction became very brittle and fragile with age so consequently many have been lost. The roof too is in one piece and what is nice about the Queen Anne model, is that the roof simply sat on the flat part of the house, not tacked on or anything. So too the stairs from the same house were loose and easy to remove from the main shell of the old house......and remarkably the stair carpet is still in place too. ALL THESE ITEMS CAN BE FOUND ON THE RELEVANT DOLLS HOUSE RESTORATION SECTIONS ON KT MINIATURES. CLICK HERE TO VIEW THE RESTORATION INDEX. Many of these items simply do not come along very often so if you are embarking on a spot of miniature restoration, then here is a rare opportunity to purchase some highly sought after components. 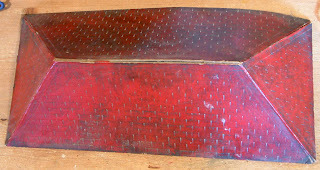 And finally....I have just added a couple of items to the Tri-ang 1/16th page. 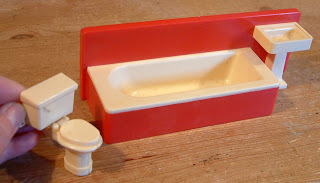 There is this lovely all plastic moulded bathroom suite that would have come from a Tri-ang CEX dolls house......consisting of a plastic moulded bath and sink that comes as an all in one unit with splashback. With this particular model there were never any taps included....unlike the later Spot On or Jenny's Home bathroom suites. Plus a separate plastic toilet with lift up lid. 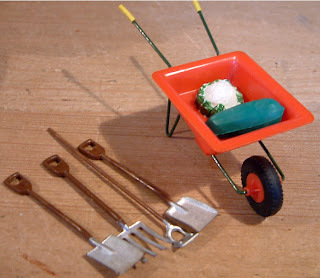 I have also just listed this lovely Tri-ang 1960s plastic wheelbarrow with rubber tyre and wire handles. Included in this set are the hard to find garden tools such as spade, shovel, hoe and fork...and like many of the items on this page......these do not come along very often. Plus this set also comes with a plastic marrow and cauliflour....just what every miniature abode needs! These can be seen on the Vintage 1/16th Scale Tri-ang Page. New Computer, New Beginnings But New Problems! These past few days has brought a serious sense of humour failure in this household! Amazing what chaos a computer dying on us can bring!! After my lovely old computer packed up completely at the weekend and subsequently KT Miniatures grinding to a halt, I suddenly found myself having to dash out and purchase a new one. But of course it has Windows 8 and some of my trusty old software that I have happily used for several years beforehand is no longer compatible. So, for the past few days there have been several trips to a very well known computer store (am not even going to start working out the cost just yet as I will need a stiff drink or two before I add it all up). Plus much time has been spent trying to make sense of the pictorial instructions on random bits of paper that come with it all, as well as the huge instruction manuals.... and my IT director (aka Mr KT Miniatures) has had to drop everything and endeavour to hook everything up, retrieve lost files and generally try and restore calm here once more. Now, it is all finally set up and I have to get to grips with it all. Am slowly learning my way around this new computer and new software...I kid you not, it took us 5 minutes at the beginning to work out how to switch the monitor on! Then it took us several minutes to work out how to switch the actual computer off properly....(it has the facility of being a touch screen but I'm afraid I have to use a mouse...am very set in my ways)! 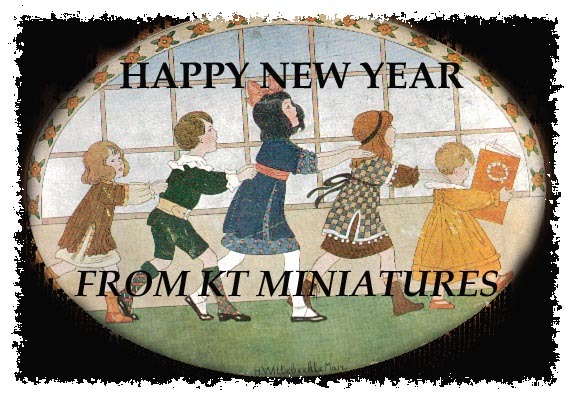 So hooray....am pleased to say that KT Miniatures is back up and running again (albeit rather cautiously) and hopefully by tomorrow, I can start listing more vintage stock again. Oh Dear....New Year Computer Gremlins Already Struck! Unfortunately KT Miniatures website is completely stuck out in cyberspace at the moment. My main computer has died well and truly this afternoon....to be honest, it is not a surprise as it had been sent to the naughty corner at least twice since I opened on Thursday!!! The noises it was making have been rather strange and it had kept freezing....prompting some choice expletives from my vocabulary, I can tell you! Yesterday, I attempted once again to list some stock on the Dol-Toi page, from Marion Osborne's collection but after nearly 2-3 hours of battling, all I managed was to get about 5 items up. Oddly, the Dol-Toi page looked fine when viewed in Explorer but all weird when viewed in Firefox.....????? But then I am reliably informed by my IT Director (aka Mr KT Miniatures) that that was a separate problem and nothing to do with the mechanics of my computer dying. Oh I wish I was technically minded!! And today, even though I had tried being nice to my big computer-I was resigned to the fact that other than the blue message that says FATAL ERROR right across the page....and then a load of gobbledy goo, was as much as I was going to get from it. Now, I can't even get that -it is well and truly beyond help. So dear folks....KT Miniatures is now going to have to take a few days break whilst a new computer is purchased and I do battle trying to recover lost files, etc. I have this little laptop so, unless this decides to come out in sympathy too with his big brother, then I can still communicate by email. If you have outstanding orders with me, then unfortunately I am not going to be able to type invoices etc. as the printer is connected to the now defunct computer....sorry. Also, the website will have to remain static until I can hook up the necessary software to a new computer. If your order process is going to be delayed, I will be in touch. 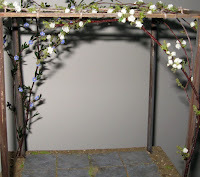 HAPPY NEW YEAR FROM KT MINIATURES ....And Let's Start With A Customer Creation! I hope you've had a fantastic time over the Christmas and New Year holiday season...I certainly did. 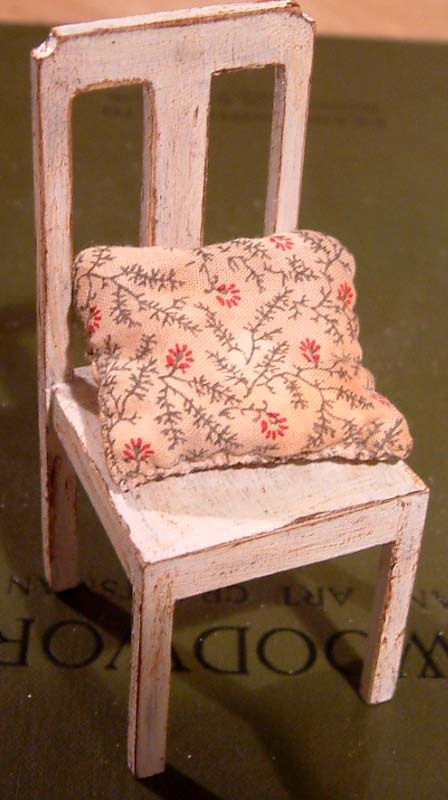 But now it's time to get back into the swing of things and KT Miniatures is open for business once more. 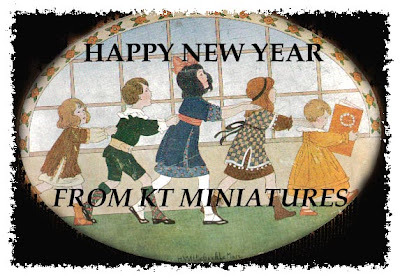 Can't quite believe that I'm embarking on my 17th year of trading as KT Miniatures....it's been quite some journey since I began back in January 1997 and hope that I can continue for a long time yet. 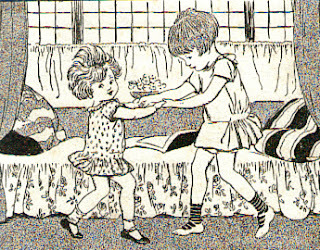 Have high hopes for this year as already there are some exciting projects lined up for 2013 plus of course there is the impending Thame Dolls House & Miniatures Fair at which I will be attending....but more about that another day. Meanwhile, to kick off this first posting for 2013....I am delighted to tell you about an inspiring project that has been created by Linda Holmes of Dorset, a talented customer of mine, who already has her 1940s Co-operative featured on KT Miniatures Customer Gallery. 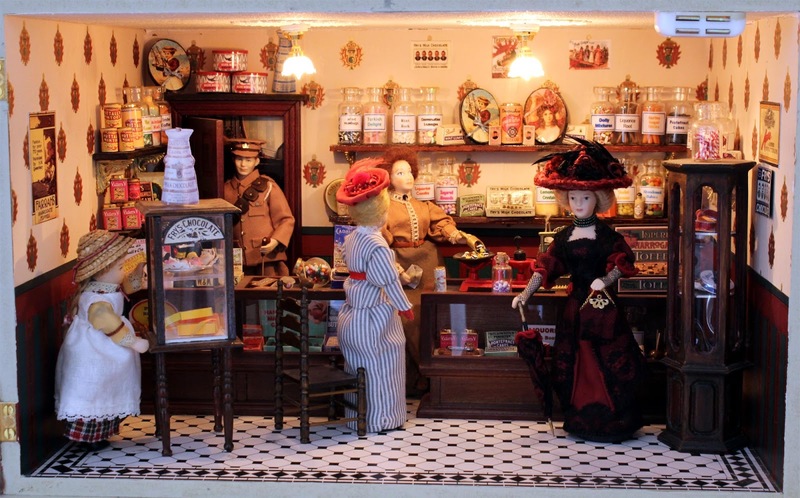 She'd been telling me about this WW1 sweet shop project that she'd been working on for a while now ....and just before Christmas emailed me through some photos. The project has been inspired by her grandparents and Linda has incorporated them into the shop characters. She has dressed the dolls herself and created some of the fixtures and fittings including many of the sweets in jars and boxes. Linda tells me that she has tried to keep the sweets as authentic as possible, most of which are made from Fimo. I particularly love the "abandoned babies" which apparently jelly babies were once known for (I didn't know that) .......and very cleverly the liquorice sticks were made out of roots from Linda's garden! The soldier doll who is "Grandad" was bought at the Lyndhurst fair several years ago from an artisan who called him "my handsome man". He met Linda's "Grandma" at a dance when he was home on leave from the mounted artillery and whisked her off her feet – how romantic is that! You would never have guessed that the aristocratic lady shop customer was bought at a car boot sale and was a sad one legged thing with no clothes when Linda first set eyes on her. However she has breathed new life into her and has been dressed accordingly, having been inspired by Cora of Downton Abbey. I hope to embark on listing more vintage items onto KT Miniatures website over the next few days and also get down to some serious creating very shortly, so do watch this space!